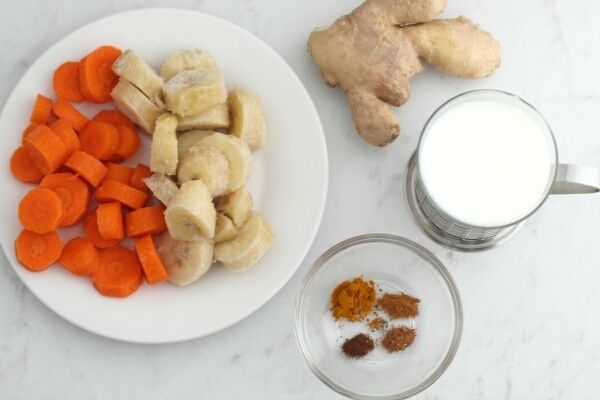 This Anti-Inflammatory Smoothie with Bananas and Carrots tastes good and is full of helpful spices. It is easy to get a lot of anti-inflammatory foods into your diet by drinking a smoothie. Smoothies have become a popular way to add lots of healthy ingredients into a daily diet. They are fast to make and great for on the go lifestyles. Everyone has inflammation in their bodies, but some health conditions really cause a LOT of inflammation. I have an autoimmune disease and inflammation is a major problem for me. There are many other conditions that make inflammation a problem like some bowel diseases. Lots of people are trying to reduce inflammation in their bodies in a more natural way and smoothies may be able to assist in the process to some degree. There are lots of arguments about the best ways to reduce inflammation in the body. I am not a doctor and this is definitely NOT medical advice! At the very least…we know the ingredients in this anti-inflammatory smoothie are going to be a positive addition to your daily diet! Most of these ingredients are items I have in the pantry. 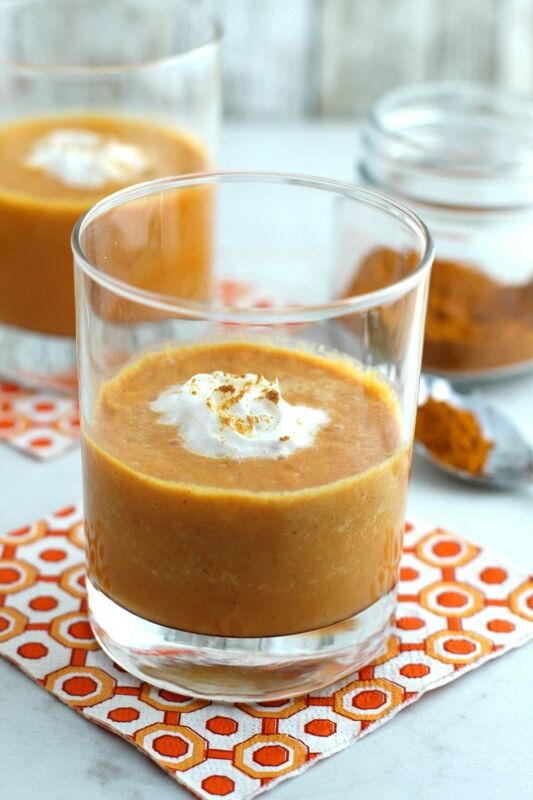 It is amazing how long spices can last and how many anti-inflammatory smoothies I can make!! One nice thing about smoothies is that you can create a “smoothie” kit very easily. You can add all the spices for one smoothie in a baggie and make up a week's worth of baggies at once. That will make the process very quick! 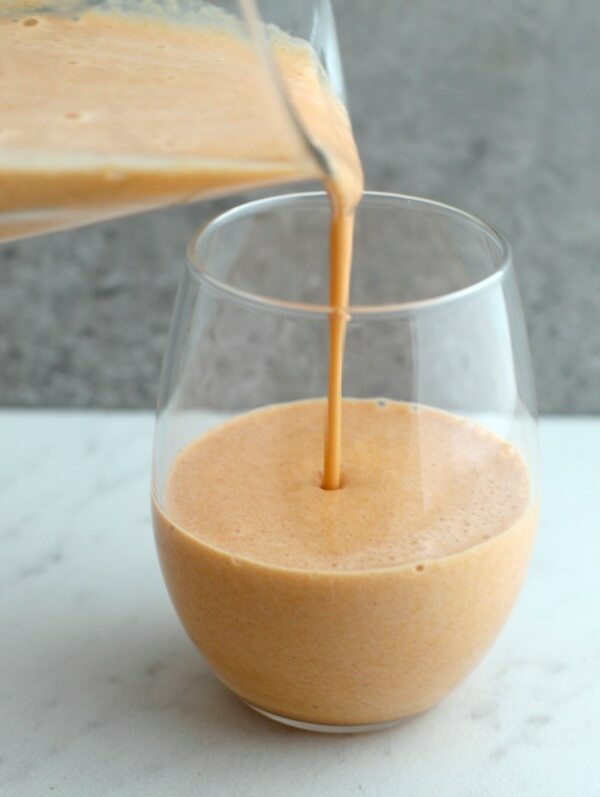 This anti-inflammatory smoothie is so easy to make! First peel and slice the carrot. Place all the ingredients into your blender and blend on high power until totally smooth and incorporated. You can add more ice if you prefer a thick smoothie. If you prefer a thinner smoothie just add a little extra almond milk. 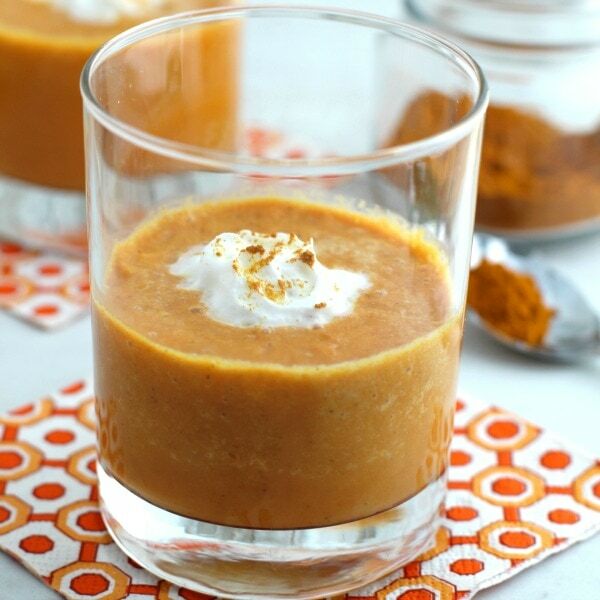 Adding the topping is optional, but definitely brings some extra yum to the glass! You can buy coconut whipped topping in the refrigerator section and it is DELICIOUS! 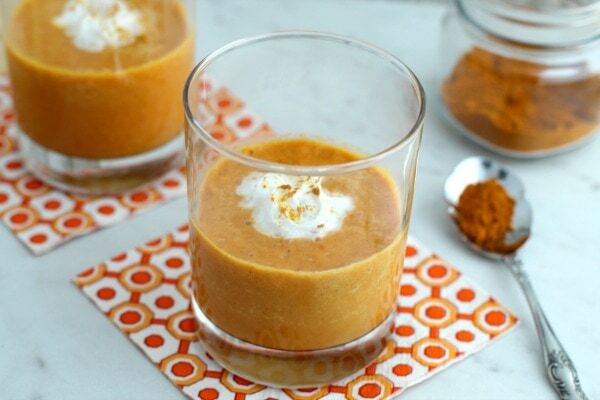 This anti-inflammatory smoothie is very Weight Watchers friendly. If you use plain, unsweetened almond milk and 2 tablespoons of coconut whipped cream this whole smoothie is only 1 Freestyle SmartPoint if you don't count the fruit/veggies. NOW…there is a lot of debate about smoothies and technically WW does count fruits and veggies in smoothies. So if you input this into the recipe calculator it will be 8 Freestyle SmartPoints. It is up to you if you choose to count the zero point foods in a smoothie or not. I get their rationale, but since this only has 1 banana and 1 carrot I don't think it should really be valued at 8 points!! If you use a sweetened almond milk or other non-dairy milk you will need to modify the points for that. You can grab the entire ingredient list and recipe instructions via the recipe card below. This is easy to download and print off for your personal use at home! 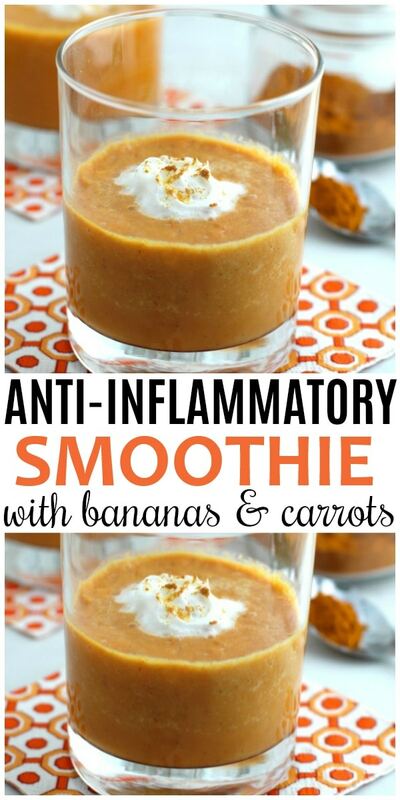 This Anti-Inflammatory Smooth is packed with bananas, carrots and other great nutrients! Perfect way to start off your day! Place all ingredients in a blender and blend on high until incorporated. Add extra ice for a thicker smoothie or additional milk to thin the smoothie out depending on desired consistency. *For optional coconut whipped cream topping, simply place a can of full-fat coconut milk in the fridge overnight. When ready to use, open (do not shake) and scrape off the top thick layer only - and add to the mixing bowl of a stand mixer. Mix for 3-4 minutes and then enjoy as a topping on your freshly blended anti-inflammatory smoothie. Store leftover coconut whipped cream in the fridge for up to a week. Makes one large smoothie or two small servings. 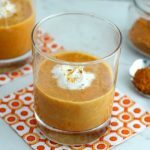 If you LOVE smoothies be sure to check out my friend's blog that is ALL about smoothies…A Daily Smoothie!